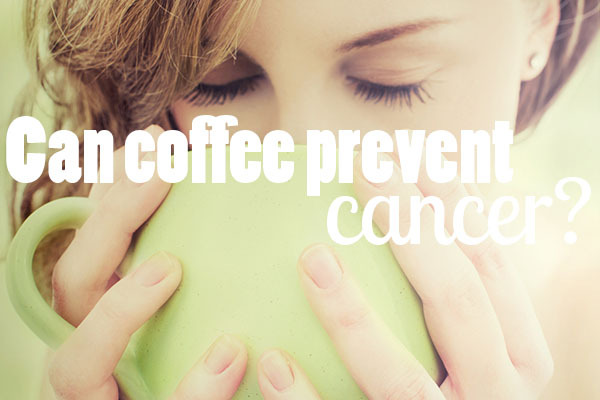 Endometrial Cancer: Could Coffee Protect You? New research suggests that coffee may just help protect women from endometrial cancer. Endometrial cancer is the sixth most common cancer in women around the world, and it’s the twelfth most common of all cancers. What’s interesting about this particular type of cancer is that it seems to be most common in wealthy countries, like the U.S. It tends to affect post-menopausal women. World Cancer Research Fund/American Institute for Cancer Research released an update to their Continuous Update Project Report (CUP) on endometrial cancer (pdf alert), adding findings about the link between coffee and cancer prevention. What stood out for me about these findings was that they looked at how both caffeinated and decaf coffees impact endometrial cancer, and both appear to help protect women. That means caffeine is not what’s beneficial in this situation. The researchers looked at eight studies on coffee and endometrial cancer, and they found that all eight linked higher coffee intake with a decreased risk. They also looked at three studies of decaf coffee and found the same correlation. Because they looked at so many studies, it’s a little bit tricky to nail down how many cups per day are ideal to prevent endometrial cancer, but from the CUP summaries, it looks like even one cup a day can reduce your cancer risk by seven to eight percent. Researchers believe that it’s the antioxidants in coffee that help protect women from endometrial cancer. They specifically mention chlorogenic acid, which you can also get from eating peaches and prunes. They also report that physical activity helps prevent endometrial cancer, while a high Body Mass Index and a high glycemic load can increase cancer risk. Glycemic load refers to the quality of carbs that you’re taking in. Basically, it means whole grains: good, refined grains and processed sugars: bad. Do you drink coffee regularly? Does the possible reduction in endometrial cancer risk have you considering starting a coffee habit? Tell us what you think in the comments! Make your own homemade tea blends with these 8 recipes! Does recycling K-cups make them better? Tea During Pregnancy: Which ones are safe? Can French press coffee raise cholesterol?